#EverWonderedWhy clock's hands move clockwise? One of the everyday thing which we use all around the world is a clock. It has become such an integral part of our lives that neither the day starts nor the night ends without it. But have you #EverWonderedWhy clock's hands move clockwise? i.e. : From left to right. Why is it not the other way round? The answer to our curiosity lies in sundials and in which Earth's hemisphere the clock was invented in. Sundials was an earlier mechanism which were used to keep the track of time. They used to cast shadows with reference to the sun's position as it moved from East to West. Later when civilizations advanced mechanical clocks replaced the sundials. But even though they replaced them, the mechanical clocks where calibrated to match the speed of the movement of shadow of the sundials and also its direction of movement. Now you might be wondering how the Earth’s hemisphere comes into picture! 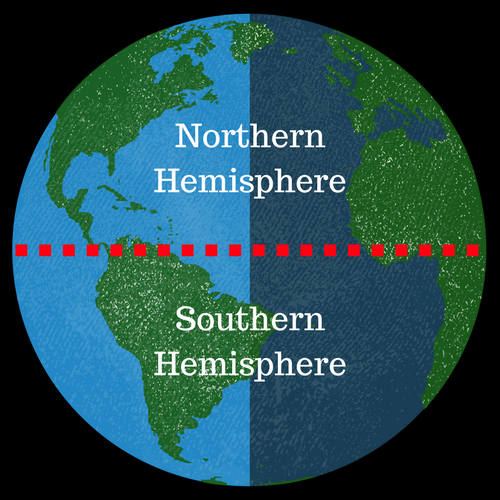 The Earth is divided into northern and southern hemisphere by the equator. 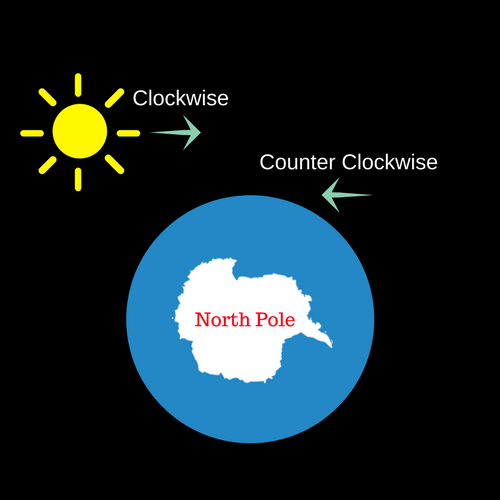 If you look at Earth from above the North Pole you'll see that Earth is moving counter clockwise i.e. : From right to left. Making the sun rise in the East and set in the West (left to right). The earlier sundials and later the clocks were invented in the countries in the northern hemisphere where the sun moved from left to right (viewed from above North Pole). Hence, casting shadow on the sundial from left to right. Eventually adapted by the clock's hand. Now if you look at the Earth from above the South Pole you'll notice that Earth is moving clockwise i.e. : From left to right. Don't worry the sun still rises from East and sets in the West but the direction is from right to left. 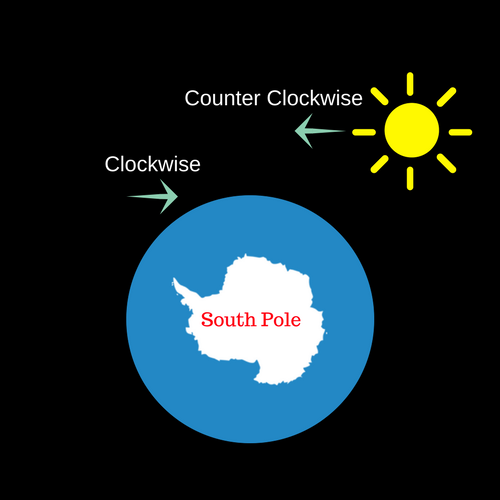 Then what if the clock was invented in the southern hemisphere, in that case the sun would have moved from right to left (viewed from above South Pole). Hence, casting the shadow on the sundial from right to left. And that way our clocks would have adapted counter clockwise as a standard movement. If it's too much for you to imagine. (psst. Even I was confused initially. :P) So here's my small experiment I did at home to understand what exactly is happening. Note: Instead of rotating the basket ball (Earth) I've moved the light source for better view of the movement of the shadow of sundials. 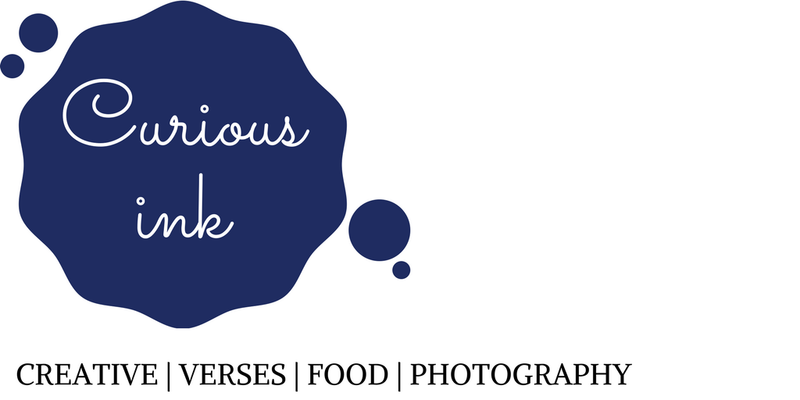 I hope you enjoyed the blog post and learned something new. Please do share share/comment your valuable views. Stay curious!